Held indoors and out, there are generally hot dogs, sweets, cotton candy, popcorn and drinks. Games, crafts and prizes are geared toward elementary aged children such as, stick horse race, bean bag throw, pick up ducks in water, musical squares. A do it yourself photo booth, a clown, face painting, animal balloons, sheriff’s helicopter, a fire truck, the puppet show and McGruff are some of the attractions. The children may come dressed in a costume, but no scary ones are allowed. The tickets are $15 and may also be purchased at the door. 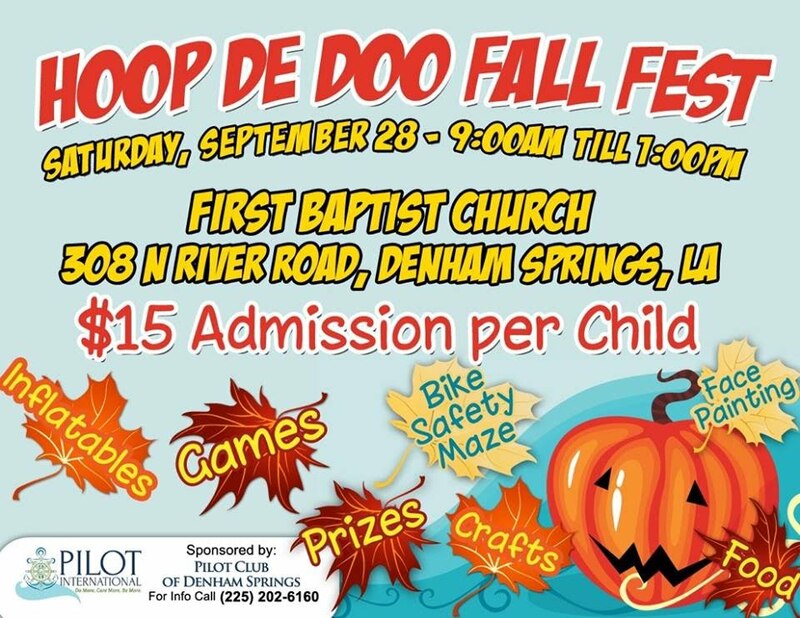 Our first Hoop de Doo was held September 28, 2013 in response to the public's request for an activity for boys to participate in.